How to apply for long stay visa for Vietnam! Dear Sir or Madam, My name is Perez Arriaran, Danish passport holder. 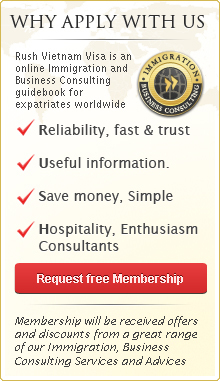 I would like to know how to apply for long stay visa for one year with multi entries. I have been travelling to Vietnam 3 times a year since 1998 but I can stay maximum 15 days with my visa exemption. Now I would like to stay in Vietnam longer to find a chance to establish my firm here. Please let me know if it is possible to have long term visavietnam granted. I look forward to getting your reply soon. Sincerely yours Perez Arriaran. We are sorry to say that our service can support 1-month and 3-month visa to Vietnam only. For a stay of one month, please contact the Vietnam Embassy for more information.